Friday, August 8 through Monday August 18, 2014 for vacation. This entry was posted in Pastor and tagged Pastor Mark O'Shields, Pastor Phil, Pastoral Care on June 29, 2014 by portelizabethnjumc. Pastor Phil is starting Summer Bible Study on Tuesday Morning and Tuesday Evening. July 1, 8, 15 and August 5, 19, 26. Subsequent sessions may offer study formats that can be used on one’s own daily personal study. July 1, 8, 15 and August 19, 26. Both Bible Studies are open to everyone. 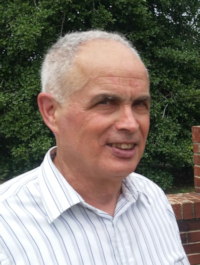 Pastor Phil Pelphrey is the continuing Pastor at Cumberland UMC and new Pastor at Port Elizabeth UMC. This entry was posted in Bible Study, Cumberland UMC, Pastor, Port Elizabeth UMC and tagged Personal Relationship with God, study the Bible on June 29, 2014 by portelizabethnjumc. Pastor Dave Carber has been with us as a local pastor since November 2009. He has been appointed to Pastor the Pinelands United Methodist Church, Sweetwater, NJ effective July 1, 2014. We are thankful for his service as pastor of our church. The Pinelands United Methodist Church is a Charge consisting of four church buildings located in Atlantic and Burlington counties in the Pinelands of South Jersey. There are two services and two Sunday schools, one on each side of the river. The service is contemporary and Bible based. The current ministries include UMW, Food Pantry, VBS, Bible study, Sponsor a Child, Youth Ministry and Impact Sunday. The community knows Pinelands through the Impact Sunday, which delivers food to those in need and the monthly music ministry called Saturday Nite Alive. Pastor Carber will lead the Bible Study with us one last time on Tuesday, June 17, 2014 at 7:00pm. His final Sunday Service will be on Sunday, June 29, 2014 at 11:00am followed by a sending off luncheon. This entry was posted in Pastor on June 11, 2014 by portelizabethnjumc.